September 26: SystemSettings and KCMs bug triaging day! Today/Tomorrow September 26 is SystemSettings and KCMs bug triaging day. 1. Triage all bugs in the systemsettings product (and maybe the kcm product too). 2. If a bug is reproducible still, comment on it and find someone that knows how to fix it and convince them to do so. 3. Find maintainers for as many of the kcms as we can. This is something anyone with a relatively new Plasma installed can help with so join us on September 26 at the #kde-devel IRC channel! Personally I'll be on from 10am Spanish time until around 4pm with some lunch time in between. If you look at kdenlive's changelog for KDE Applications 15.08 and for KDE Applications 15.04.3 you'll see that "Fix autosave not working when opening project file from command line or click in file browser" shows up in both. On the other hand if you have a look at gwenview, in 15.04.3 it shows "Make saving thumbnails work again" while it's not part of 15.08. Does that mean that this bug got lost? So why does kdenlive, marble and others show commits in the two places? Because their developers are not doing the proper git-thing of commiting to the oldest supported branch and then merging up to master, so for git it's two different commits instead of the same (in case of the kdenlive commit in question it'd be https://quickgit.kde.org/?p=kdenlive.git&a=commit&h=cc55a9cea5c2f029744f8aba79a362fd302ec0bb and https://quickgit.kde.org/?p=kdenlive.git&a=commit&h=28b3cc7b5141fcc2fed84433b9fe9851c35b7e08). I just started the port of rsibreak to KF5. I'm back home after more than a week of talks and hacking in the beautiful city of A Coruña. 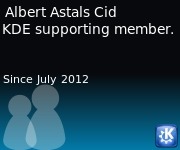 There I attended Akademy, the international conference of the KDE Community, and Akademy-es, it's Spanish counterpart. First off I'd like to thank the local organization, GPUL, that as always has done an amazing job in hosting us, repeating the success of Guademy, Akademy-es 2008, KDE-EDu sprint, etc. Also kudos to the Scottish-Kenny duo, top notch organizing work as always. Finally thanks to the both Akademy and Akademy-es sponsors. Specially Qindel, that sponsored us for the first time, hope we can continue the relationship in the future. Of course not everything is perfect and my biggest pain point this year was that we did not have as much people in Akademy-es as we expected. Akademy-es happened the 2 days before Akademy and this meant that lots of local people from the organization team were helping set up the place instead of attending the talks; also on Friday some of us (I count at least 8) were attending the KDE e.V. General Assembly so couldn't attend Akademy-es either. Definitely something to think about and improve next time Akademy and Akademy-es happen at the same place. We have just made official the release schedule for KDE Applications 15.08. It's a bit simpler than in previous times, let's see if it works out. We want to enable piwik to get meaningful statistics of kde.org visits, to be nice with privacy for that we have enabled the ip anonymizer plugin but we still need to provide a way for people to opt out. We have a nice new style for planet.kde.org. I think it is generally an improvement over what we had, but sadly it decides to force the oxygen font over my browser selected font. If you're like me and can stand the oxygen font being forced over the font you chose on your configuration have a look at this article to see how to disable downloadable fonts. Update: Unfortunately if you do that you'll lose the K-logo on the left because instead of an icon we're using a font to render it. So now I have to decide between unreadable (for me) oxygen font a having the broken K-logo on the top. As Laurent mentioned we are moving some KDE games from kdelibs4-based to kf5-based for the next KDE Applications 15.04 relase. Today we just switched libkdegames, libkmahjongg and bovo. Next target is bomber, so if you have some time grab the master branch of libkdegames and the frameworks one of bomber, give it a try and make sure we're not regressing somewhere we didn't realize. Yesterday was the last day of the KDE End of Year 2014 Fundraiser. I want to thank publicly the 788 donors that helped us raise over 22000 euro. 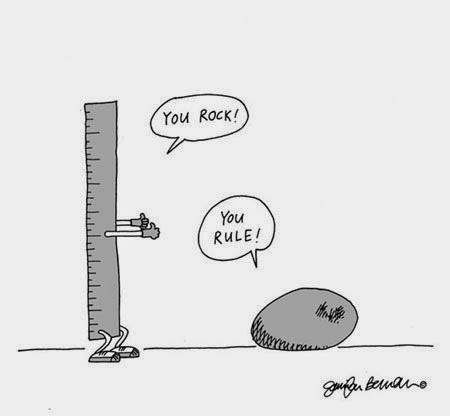 You all rock and rule! Thanks to this money we'll be able to keep sponsoring developers to attend conferences and sprints to improve the software we all love and use. Of course there's never enough money so we still greatly appreciate your donations at http://kde.org/donate or even better you can become a KDE Supporting Member. The schedule for KDE Applications 15.04 release is ready. As always it's available in techbase at https://techbase.kde.org/Schedules/Applications/15.04_Release_Schedule. The Freeze is only six weeks away!